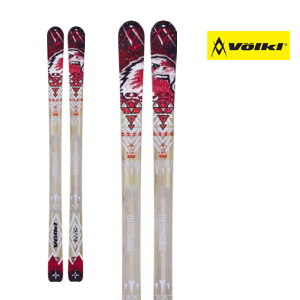 The Völkl INUK offers a perfect mix for all days and skiing conditions. The uni- versal touring ski is one of the lightest touring skis on the market (1,325 g at 170cm), despite its 80mm of width. Yet no matter how little it weighs, it’s ready to tackle soft, rutted or groomed snow. It delivers effortless turning, with a firm grip whatever the steepness, making it a real hot tip for every all-round touring skier.